2015 is nearing its end and Tollywood though has many records this year is still having a tinge of disappointment writ on its face. However star heroes and heroines seek to rule silver screen in 2015 but much to disappoint of them some stars received shock on the screen. 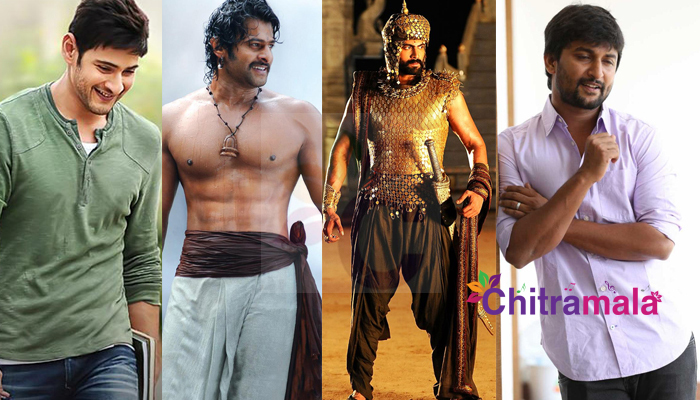 Here is the list some Tollywood heroes who has tasted bitter experience with their films. 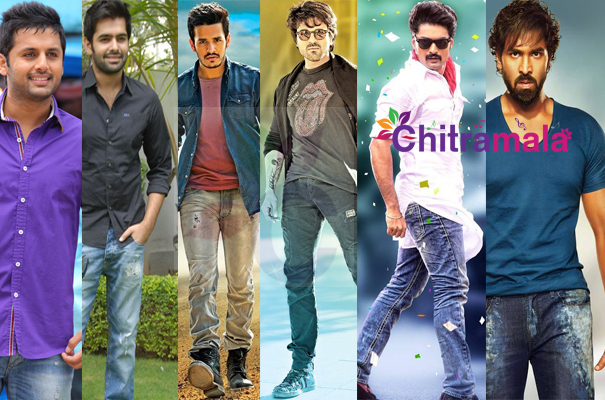 Have a look at hit and flop of heroes of Tollywood for the year 2015. Ram’s Pandaga Chesko and Shivam movies released in this year 2015 and both the films turned as disasters at box office. Director Srinivas Reddy who made his debut as director with Shivam came with routine mass entertainer to attract masses. He depended on out and out comedy and succeeded for most of the first half. He lost plot with illogical narration. After the success of Govindudu Andarivadele Mega Star Ram charan Teja received shock with his miserable flop Bruce Lee -The fighter . It received mixed responses from the audience but it failed to turn this talk into reality. It has good openings, but audience turned the faces into routine flick in terms of the Srinu Vaitla last release. Even Chiru Comeback has not helped the Poor Box office collections of Bruce lee. Manchu Vishnu who sometime comes back with ‘Dynamite” which is received shock of turned out to be a disaster. Dynamite is almost a copy paste of Tamil film, Arimanambi. The film starts up very slow in the first half without even going in to the story. The director managed to keep the audience engrossed in the second half to some extent. But towards the climax, the movie runs in to predictable lines. Deva Katta may have not attempted a remake given his talent. Actor Nithin also scored a flop movie at the box-office with Courier Boy Kalyan and he also failed as producer with Akhil movie. Nandamuri hero Kalyan Ram came out of flops galore by scoring a stunning hit with ‘Pataas’ at the start of the year 2015 but In order to reach the next level he came to roar as ‘Sher’ to score success at box office but only he faced stunning reverse by suffering huge losses. Kalyan Ram also the producer for another disaster movie Kick 2. The 1st Half of the film is good when compared to 2nd half. Director Mallikarjun’s screenplay and direction do not increase the interest levels of the viewers. King Nagarjuna’s son Akhil whose debut film Akhil did not do well at the box-office. Vinayak fails with his screenplay and direction conflicting from the main plot. He wasn’t sure of whether to make a socio fantasy film or mass flick and ended up taking scenes from various Hollywood films. Astonishingly Veligonda Srinivas script had no story at all. Right from start to finish, film failed on all fronts. Even Nagarjuna’s sparkle in Akkineni song failed to save viewers from second half torture. After Surya vs Surya hero Nikhil‘s next crime comedy entertainer ‘Shankarabharanam’ is also fails at Box office. The film failed to meet the soaring expectations and film. The First half in spite of frantic attempts to make us laugh and second half dragged with unnecessary scenes. Sai Dharam Tej who is Supreme Hero from mega family had an interesting start to his career with hits and flops. His Debut movie, Rey was left in cans for more than three years. Finally his second film, Pilla Nuvvu Leni Jeevitham released which entertains at box office. But unfortunately his debuted first movie Rey which released later ended up as huge disaster. YVS. Chowdhary who made mega fans and movie lovers wait till eternity for Rey completely disappoints. He came with routine story which even a kid can guess. Sai Dharam Tej’s Subramanyam for Sale turns an average movie at box-office. Jr NTR scored a decent hit with Temper and the movie turned as average at the box-office. Puri Jaganandh is the director. Mega Hero Varun Tej scored a decent hit with Kanche movie. The film directed by Krish Jagarlamudi. Ravi Teja who faced the disaster with Kick 2 movie is managed to score a decent hit at the box-office with his recently released Bengal Tiger movie. Allu Arjun also scored a decent hit with S/O Sathyamurthy and the film turned as an average at the box-office. Pawan Kalyan and Venkatesh starrer Gopala Gopala movie released in the first half of the year 2015. The movie turned an average at the box-office. Pawan Kalyan played a guest role in the movie. Prabhas and Rana Daggubati scored the blockbuster hit with the film Baahubali. Mahesh Babu gets blockbuster in the form of Srimanthudu. Actor Nani also scored a hit with the movie Bhale Bhale Magadivoy. As per trade pundits the success rate in Tollywood is very low. We are getting 7-10 Hits per year and in them only 5-6 movies are becoming commercial success. Let us hope our stars will get good scripts and score a decent hit near box office in the year 2016.